A scene from The Women’s Balcony. Diversity is the goal of the Donald M. Ephraim Palm Beach Jewish Film Festival, now in its 27th year, beginning Thursday and running for three-and-a-half weeks. A program of the Mandel Jewish Community Center of the Palm Beaches, this year’s festival will unspool 30 feature films and documentaries from such diverse countries as Morocco, Greece, Argentina, Sweden, France and, of course, Israel. This will be the fifth Palm Beach Jewish Film Festival for Wedner, who previously programmed the Miami Jewish festival. “It doesn’t really get easier, because you’re starting each time fresh,” she says with a shrug. With the exception of the opening and closing night films, which only screen once, the Palm Beach festival is really three separate weeklong festivals with the same films playing in three different locations. The rotation includes Boca Raton’s Cinemark Palace, Jan. 21-27, then Cobb Theatres in Palm Beach Gardens, Jan. 28-Feb. 4 and, finally, the Frank Theatres in Delray Beach, Feb. 5-11. “We do it this way because we know if you live in Boynton Beach, you are not driving to Palm Beach Gardens to see a film,” Wedner notes. 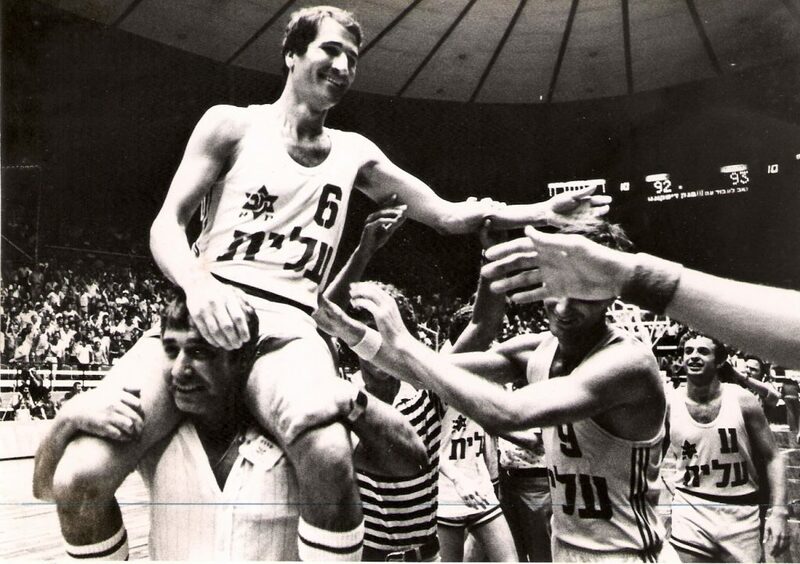 She is particularly proud of the two films that will bookend the festival, beginning with On the Map, a documentary of Israel’s famed 1977 basketball team that won the European Cup, showing at the Kravis Center’s Cohen Pavilion on Thursday. “I’m not a basketball fan, I’m not even a sports fan. So I was a little resistant to this film before I saw it,” concedes Wedner. “However, I knew the director’s work very well, Dani Menkin, so I knew this would be well done. So I watched it, even knowing it was a sports film and found myself mesmerized. 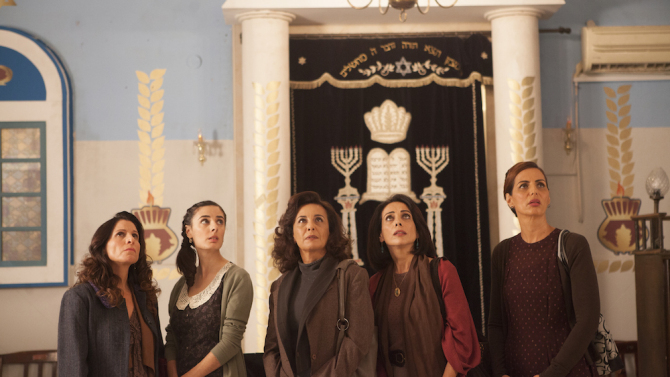 Closing the festival on the afternoon of Feb. 12 at the Carmike Parisian in CityPlace is The Women’s Balcony, nominated for five Ophirs – Israel’s Academy Awards. This feature film depicts what happens when a synagogue’s women’s balcony comes crashing down during a bar mitzvah and the rabbi ascribes a harsh interpretation to the event. On a tight budget, Wedner has been able to bring in numerous filmmakers and talent to introduce and discuss their work. She is particularly pleased to present On the Map director Menkin, who happens to be teaching in San Francisco this year, and the film’s “star,” basketball legend Tal Brody, who is flying in from Israel. And from the interfaith romance film Second Time Around will be the female lead, Linda Thorson, of TV’s The Avengers fame. In recent years, patrons got most heated over finding seats. Call it a product of the festival’s success, but many screenings were sold out if not oversold. In response, “We’ve radically altered the ticket stricture this year and how you enter the theater to make it better for everyone,” says Wedner. “We used to have a festival pass, but we never knew how many of them would show up. They didn’t have to tell us which films they were coming to. Consequently people had to wait outside. It was very difficult. “We’ve gone to a ticketing system that allows you to use a discount ticketing package — 6 films during the day or 7 films at night or whatever — you choose your film. Since it’s all computerized, we now know how many seats are available. That should make for a smoother film festival for everybody,” she said. In addition, the Palm Beach Jewish festival is experimenting this year with reserved seating in Delray’s Frank Theatre. “We may be the only film festival that I know of anywhere — worldwide — that is trying that. Because we kept hearing in the Frank that patrons wanted it. The Cinemark is so much larger a theater, so we don’t have that issue as much there. It will be like being on an airplane, where you select your seat in advance,” Wedner says. And if patrons react favorably, reserved seating may go festival-wide in the future. Haris Fragoulis and Christina Hilla Fameli in Cloudy Sunday. “You should come to the festival because whether you’re Jewish or not, these are great films,” she says. “Some of them will get into theaters, some of them won’t. Some will go to Netflix. Many will not be available anywhere after the festival because they did not get a distributor for one reason or another. So like with all film festivals, this could be your only opportunity to see some of these films. 27TH ANNUAL DONALD M. EPHRAIM JEWISH FILM FESTIVAL, Cinemark Palace in Boca Raton, Cobb Theatres in Palm Beach Gardens, Frank Theatres in Delray Beach. Jan. 19-Feb. 12. Opening night: $20-$25. Otherwise: $7-18. Call: 877-318-0071 or go to www.jcconline.com.